Crime as a Service – the criminal’s ‘Internet as a Service’ coming to steal from you. If you have been unfortunate enough to have your home broken into you will know how disturbing and unsettling experience this is. You call the police and obtain a crime reference number for your insurance claim. The majority of people understand the need for home and contents insurance because we are aware of risks as home owners/occupiers and take precautions to protect our property. After the event we review the precautions that we had taken and usually upgrade security to reduce the chance of it happening again. Security of our possessions in the physical world, our home, car, bicycle, mobile phone, computer etc. is something that we understand. In our online world it is a different story. 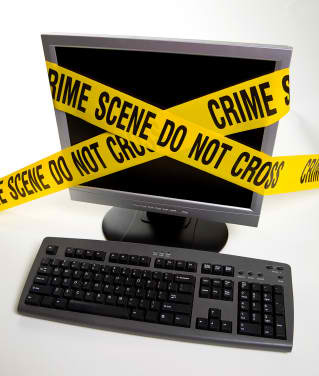 With our lives increasingly online we probably all know someone who has been a victim of cybercrime. Unlike our homes where we can see the security measures we put in place, that is much harder in our online world and more complex. How many passwords do you have with how many different online sources and when each has their own idea of how to implement online security it is complex and sometimes annoying. The reality is we have little understanding of what risks are present online and how we protect ourselves and that is not surprising as this is complex. The good news for EU citizens is our crime fighting agencies are on the case and are out to defeat the cyber baddies. A recent report by EuroPol is worth reading, it is a little scary and if it makes you think about the security measures you are taking today in your online world then that may save you distress down the line. You could easily spend £500++ on strong locks for your external doors and windows. How much have you spent to protect yourself in your online world? EuroPol is the European Union’s law enforcement agency whose main goal is to help achieve a safer Europe for the benefit of all EU citizens. It has published the 2014 Internet Organised Crime Threat Assessment (iOCTA), the first of its kind prepared by the European Cybercrime Centre (EC3) at Europol, click here to access the report. Europol are not the only agency in the role of protector, to keep up todate with the work of European Union Agency for Network and Information Security (ENISA) click here.